Catholic Charities of the Rio Grande Valley’s Pregnancy Counseling Program provides confidential support, encouragement, guidance and practical assistance to women (and / or their family) who are undergoing a crisis pregnancy, so they can feel supported and confident in choosing childbirth. Biological parent who is pregnant or has an infant of up to two (2) years who is undergoing a difficult / crisis pregnancy. Family members who are also undergoing this crisis may also receive counseling services. Call us at any time, free of charge, at 1-888-LIFE AID and we'll connect you with a pregnancy support counselor nearest to you. You can also call either office at 956-702-4088 in San Juan or 956-541-0220 in Brownsville. You can talk with someone who has helped others through it and can get the support that you deserve. The counselors are familiar with what you are going through. You are not alone. We can help you make informed choices and provide counseling to support you every step of the way. If you are in school, we can help you find ways to continue your education. We can refer you to other supportive agencies for medical care, food, financial help, and any other support you need to care for your baby. We can help you wish maternity and baby clothing, food, and furniture--whatever you need to keep you and your baby healthy. 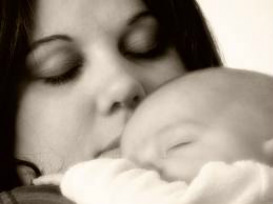 if you don't have a place to live, we can search for temporary shelter for you-- a safe place where you can live before and even after your baby is born. Donations for Baby Boutique needed.